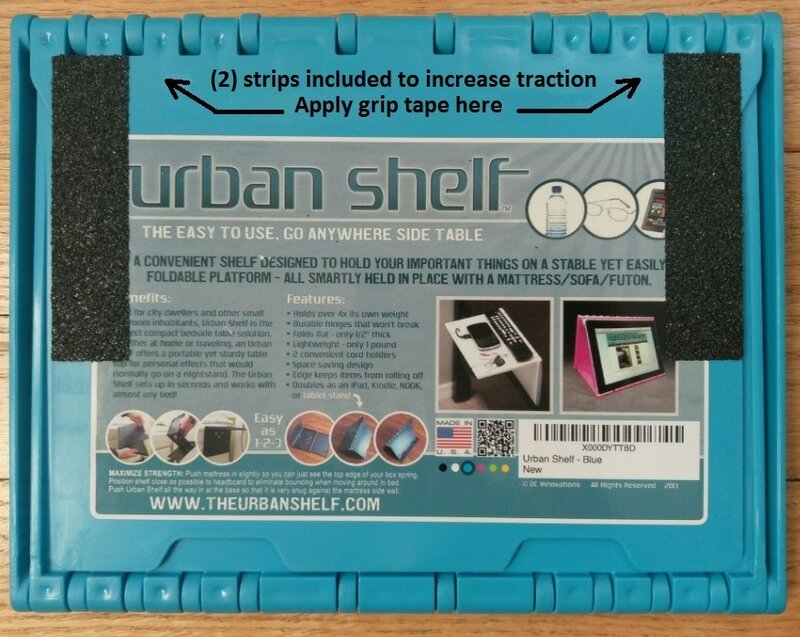 Two 4" x 1" grip tape strips are included with any shelf shipped from us effective immediately or new stock that will be sent to Amazon moving forward. 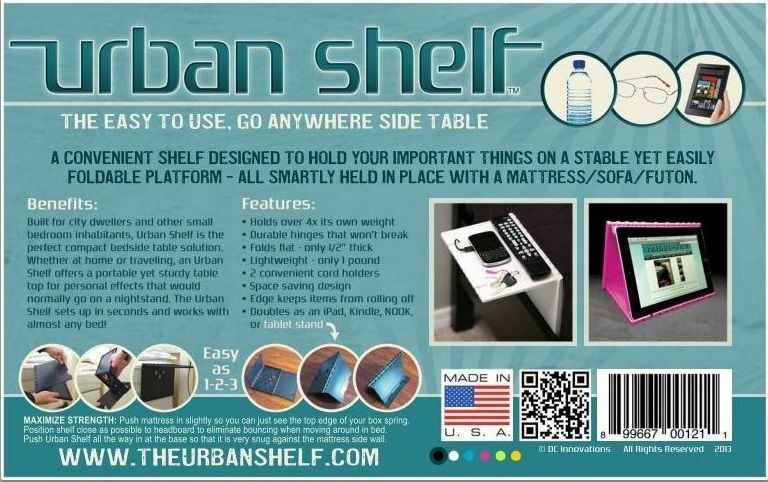 They are located inside your shelf when you open up the flaps. If you want to use them, just peel the backing and stick as shown. We found the outer locations pictured to be the most effective. Keep the one side flush with the hinge. 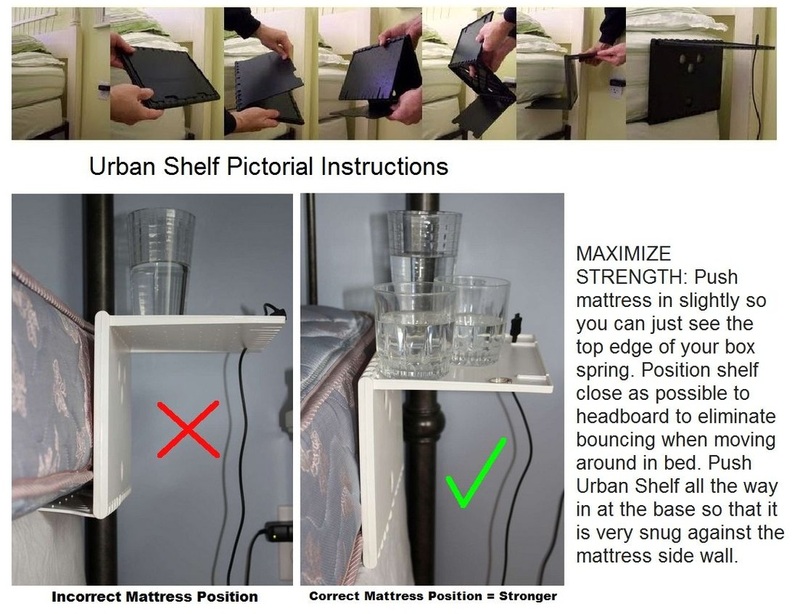 Make sure to keep your shelf close to the headboard as well to decrease bouncing when moving around in bed. Supplied grip tape is made in Illinois USA and a staple among skateboard enthusiasts. 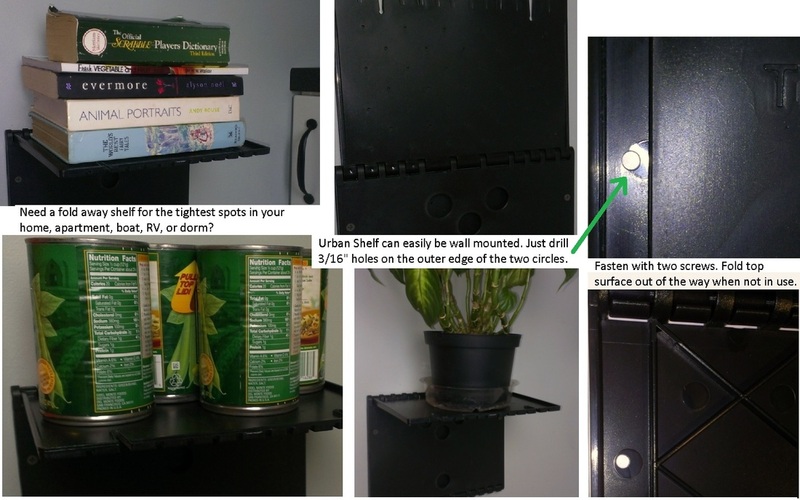 Wall mount an Urban Shelf - for certain spaces, there are no other options. Millions across the planet have no room for a nightstand on one or both bedsides. Where do you put your charging mobile phone, glasses, remote controls, book, e-reader, keys, change, jewelry, wallet, water, pills, or other personal items while in bed? 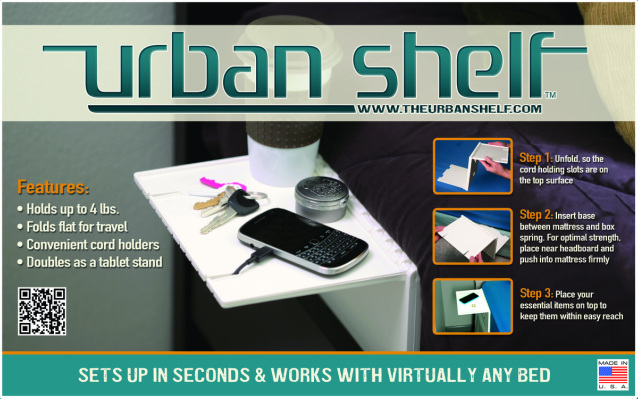 Urban Shelf holds your bedside essentials: phone, charging cord, & glasses. Usable surface is 6.5" x 9.25"